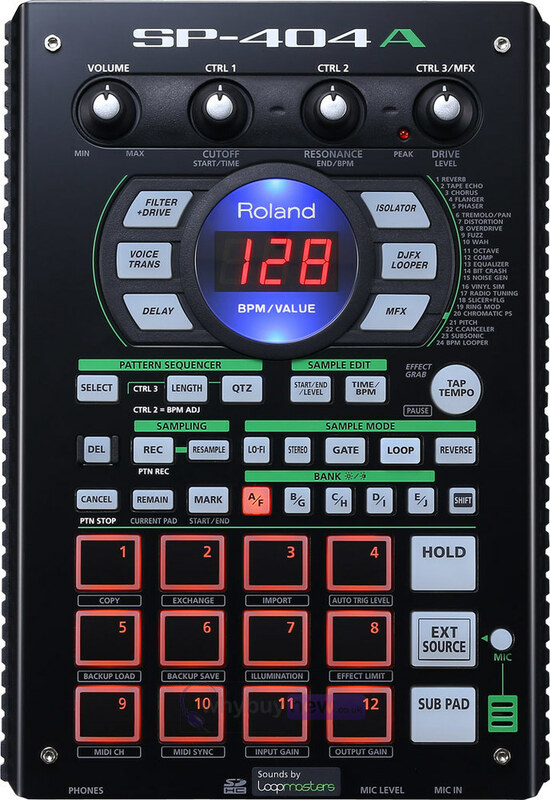 The Roland SP-404A is a portable Linear Wave Sampler with a built-in mic and battery power which make it ideal for live DJ performances. 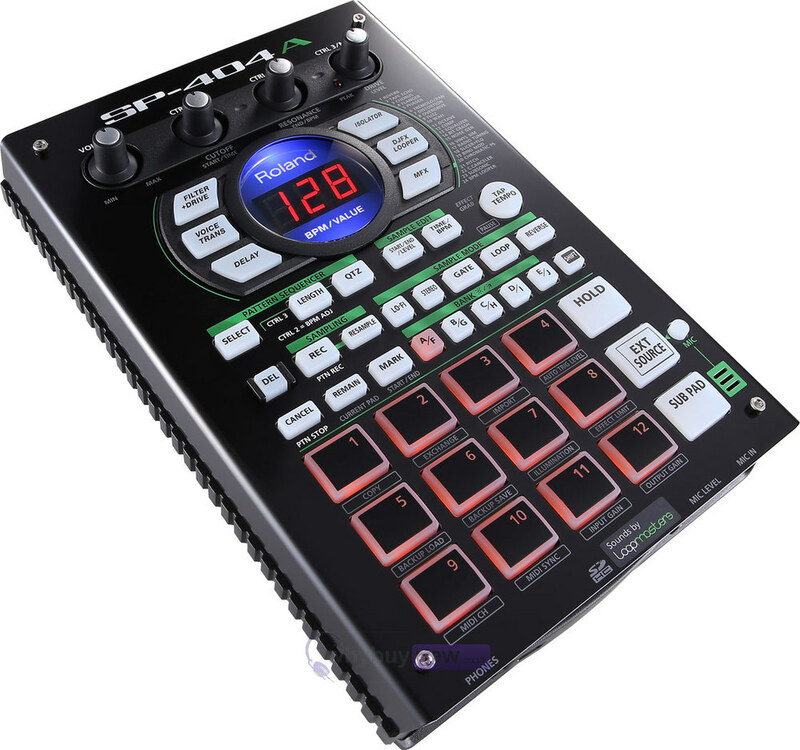 The SP-404A can be used standalone or combined with the Roland AIRA TR-8 Rhythm Performer for a powerful sample and percussive synthesis duo. Additional samples can be loaded via the SD Card slot, which supports SDHC card sizes up to 32 GB. Import WAV or AIFF audio files from your Mac or Windows computer using the dedicated software (available in the Downloads section), and then assign them to the SP-404A's pads. 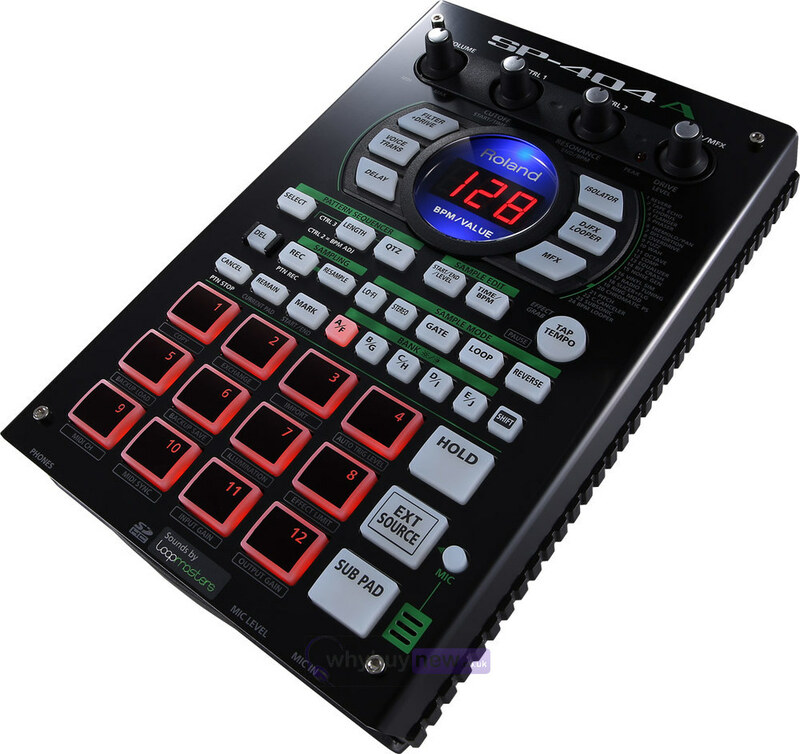 The software is fast and easy to use, as it displays the SP-404A's pads on screen, and it's also possible to convert SP-404 format files for use in the SP-404A. 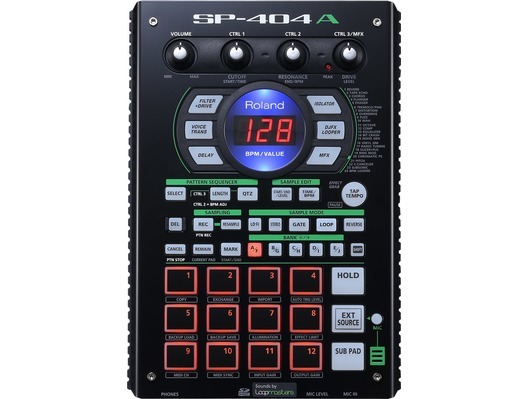 Combined with a DJ mixer, the SP-404A can be used as a standalone effects processor. A unique "limiter" mode is used in 17 effects types to prevent overloading, ensuring stable sound with no unwanted sonic artifacts. This mode is especially effective for live DJ performances, safeguarding your sounds at critical moments. You're able to store 120 patterns (12 patterns x 10 banks) and recall them instantly. This lets you perform live sets exactly as you envision them, with the comfort of knowing that you always have the freedom to improvise. When you play back patterns, the LEDs surrounding the display flash with the pattern tempo, providing handy visual feedback during your live performances. Battery Life for Continuous Use: Rechargeable Ni-MH battery: Approximately 5 hours (When using batteries having a capacity of 1,900 mAh.) Alkaline battery: Approximately 4 hours.